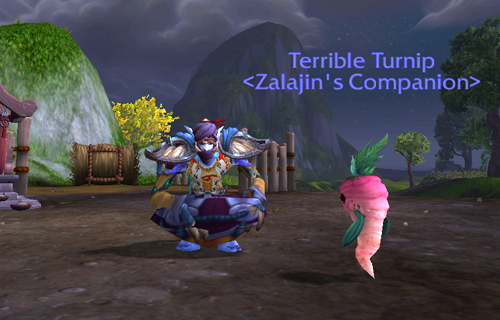 It’s after midnight again and I’m harvesting crops. This little guy was ready to be picked. 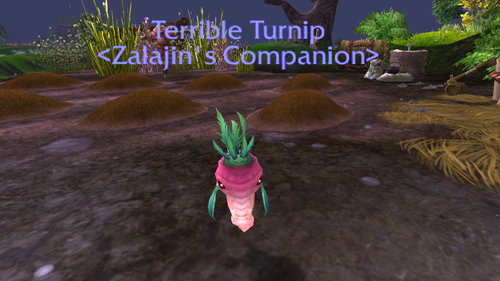 So here he is making his debut on my Halloween Dream Pet Team. PetCaught: Tells you if you already own a pet and the quantity when you mouse over the pet. It even works on the mini-map. 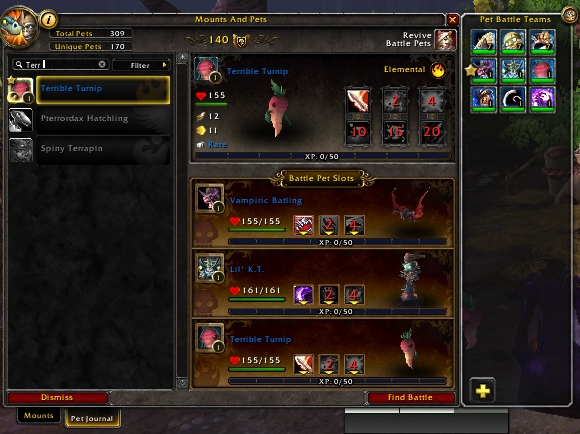 Pet Battle Teams: Lets you set up teams that you can select with a click. PetJournal Enhanced: Various UI tweaks to make your life easier. Lots of sorting and search options. All of them are available on Curse.com. P.S. I want a Lil Marrogar. I can imagine him yelling BONESTORM! And then whirl-winding all over the pet battle area. Come on Blizzard, you can do it!